To avoid owning obese dogs, daily exercise, limiting of treats and feeding only what your dog needs to eat, not what he wants to eat are the key to keeping her a healthy weight throughout her life. Don't continue to feed an adult poodle what you did, or what he ate, as a puppy. Fat dogs will result, with ensuing health problems for your pet. 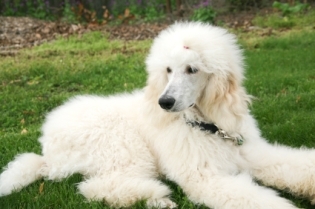 Puppies generally eat more often than grown dogs, and their nutritional needs are different than your adult poodle's. 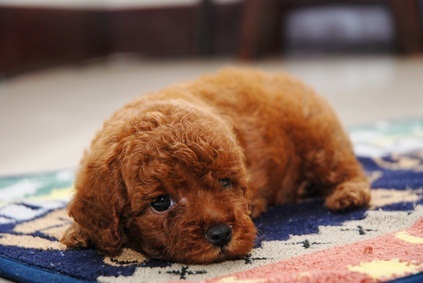 Puppies need more fat than grown poodles do. An overweight dog is more susceptible to diabetes, arthritis and heart problems. It can shorten his life span and make his life uncomfortable. 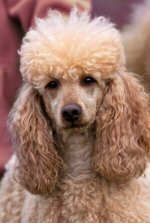 Diabetes can result in your poodle having to take medication, arthritis is painful and puts added stress on his joints, making walking and climbing stairs painful. Older pets have slower metabolisms than younger dogs. If your senior dog gets fed the same kind and same amount of food she did when she was younger, weight gain is a real possibility. For optimal senior dog health, he'll need a different diet than his younger days. You'll also want to give him smaller portions at his meal times. Smaller meals help him digest the food more easily. There are also low calorie diets if those fit her needs more. Other seniors do well on premium diets with rice and lamb. Check with your vet before you embark on a new diet and watch your poodle after you change his diet to make sure he's not having allergies or digestive problems. Obesity in dogs can be prevented the same way as obesity in people. Watch eating habits, exercise daily, drink plenty of water and don't feed your poodle treats and table scraps throughout the day.